For obvious reasons, the title of this blog is not true. No trailer can actually kill someone. Oh crap, unless it's an ACTUAL 18-Wheeler jack-knifing towards you and there's no runaway truck ramp to stop it. In that case, yes, a trailer can kill you. We, however, are referring to the latest trailer from SEGA's upcoming Aliens vs Predator from developer Rebellion. Check it out below! 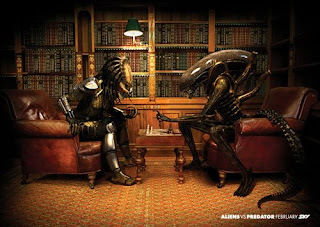 Alien vs Predator is available February 16th on Xbox 360, PlayStation 3 and PC. Pre-order and save!